At this time, store owners can only view their backed up Pages from within their Rewind Vault. We are currently working on incorporating its rewind feature, and intend to implement it for our customers in the near future. 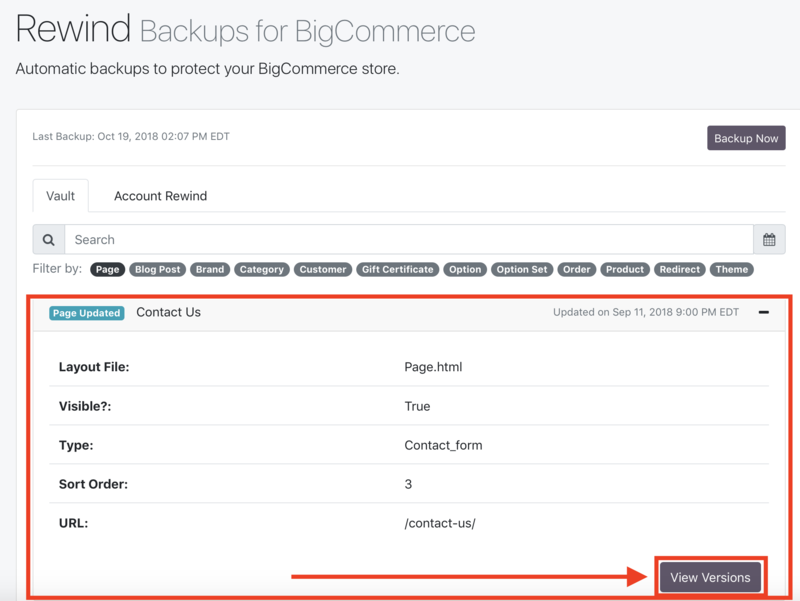 *In the meantime, if you need to rewind your Pages - individually, multiple, or all at once (in bulk) - please contact us directly at help@rewind.io, as we can perform this task from our end, at your request. 1. You can locate the Page you're looking for either by searching it (by name, SKU, key words, etc.) in the Search bar, or by filtering the results by selecting Page. As you'll see, the Page filter tag will now be highlighted and move to the front of the filter tag list. The results will now only display your Pages. You can choose to further narrow down the search further by using the Search bar, if desired. 3. To expand on the details of that Page, click on the '+' sign. 4. 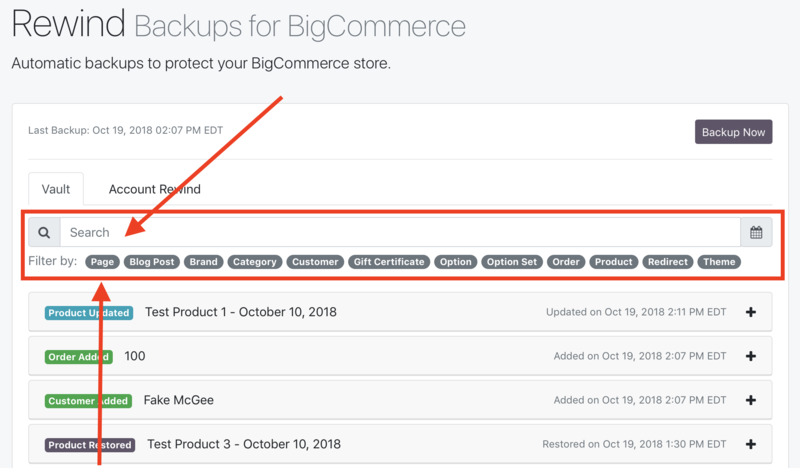 By default, you will now be able to view that Page's name, Layout File, Type, Sort Order, URL, and whether it's currently Visible in the shop or not. You'll also be able to see what time they were either added, updated, restored, or removed to/from the shop and Rewind Vault. To view the actual backed up versions of that Page, click on 'View Versions'. 5. Here, you will see the current/active version of the Page on the left-hand side of the page, which can then be compared side-by-side to whichever version of the Page you select. You can sort through and choose other saved versions of this Page by going under Versions, on the right of the page. 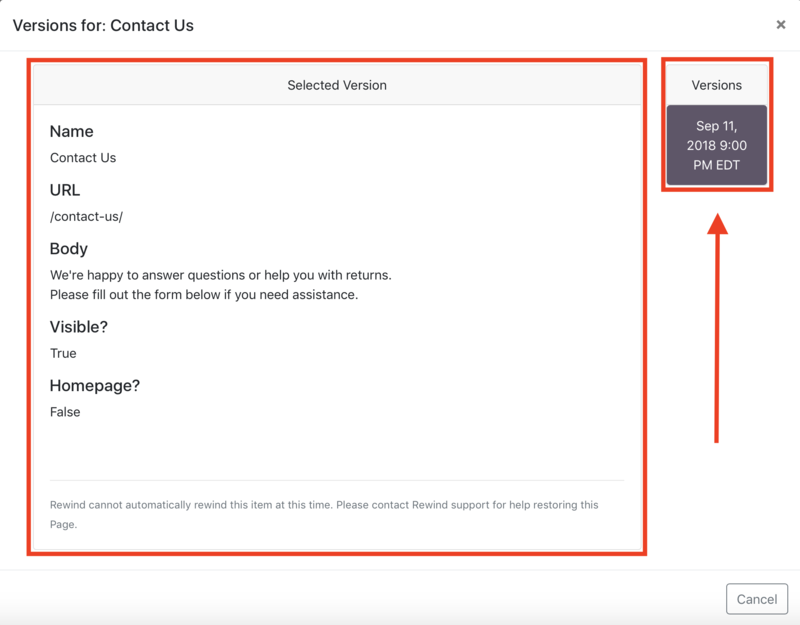 If you need to know any other details about the Page that is not currently shown in the UI, contact us at help@rewind.io and we can provide you this additional information. How often will my Pages be backed up? 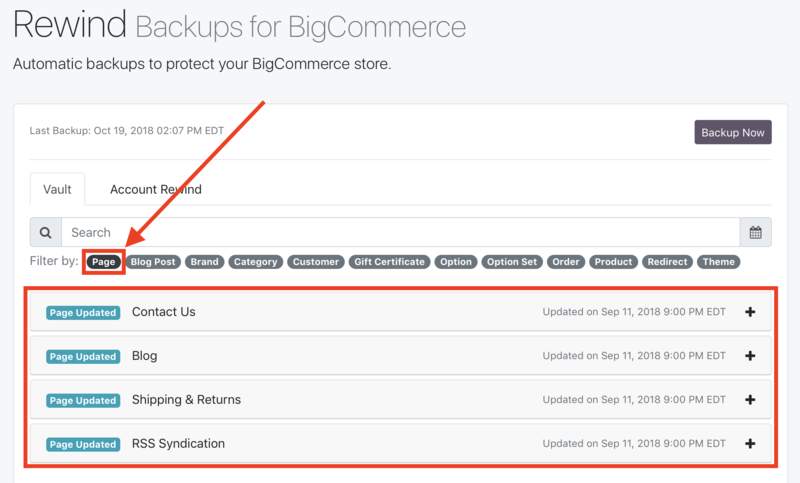 On all plans, we will automatically backup Page changes each night during your store's daily automated backup at 12am local time. 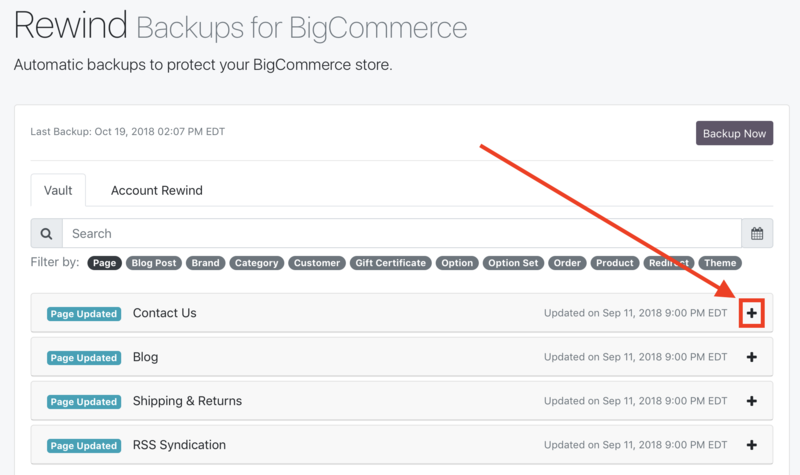 For those on our New Business plan and higher, changes to Pages can also be saved during a manual store backup. Pages cannot be saved in real-time.